With the holidays fast approaching, having a house that has enough space to accommodate the whole family, might be what you are looking for! 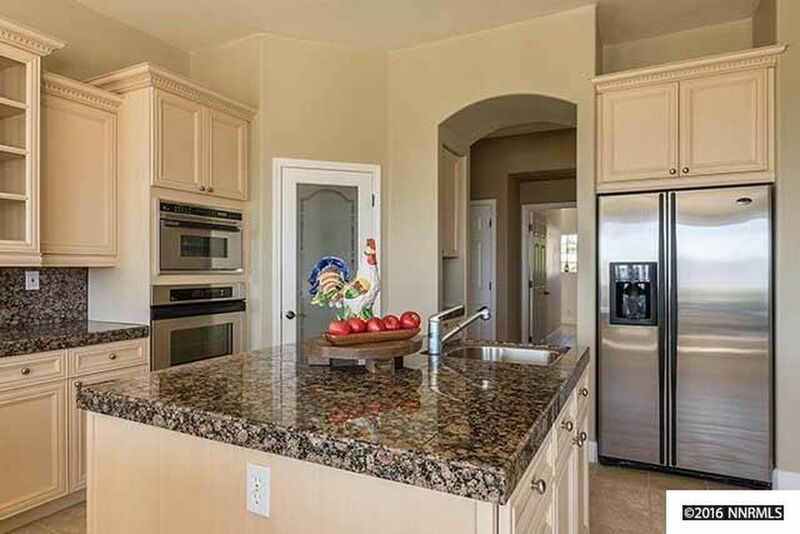 Well, let me introduce you to this lovely property located at 6696 Marble Canyon. 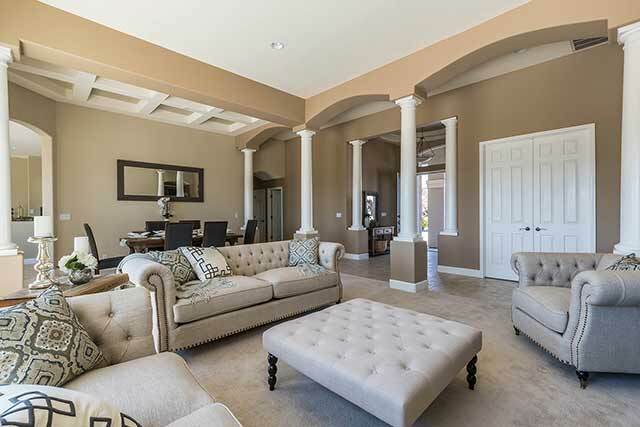 This property boasts 3,646 sq ft. with five bedrooms and four bathrooms. When you enter the house, you come into a large space which is considered the formal dining and formal living room. When we first accessed the house, there were no furnishings throughout the entire place, only window coverings. Our plan included replacing those and bringing in furniture for the key areas of the home including the formal living room, formal dining room, family room, breakfast nook, master bedroom and master bath. Here are the formal areas after being staged: Valances were removed and longer curtain panels were added. The neutral tone showcases the gorgeous view framed by large picture windows. The formal sitting area and a formal dining area are perfect for entertaining and hosting a dinner party. From this space, you head into the family room which is just off the kitchen and includes a breakfast nook. The same scenario applied in these spaces. When we accessed the property nothing was in the space besides valences on the windows. The last area we staged was the master bedroom, which I would prefer to call the master retreat! It's on the opposite end of the house from the rest of the bedrooms, a feature I always enjoy. The space is quite large and has enough room to accommodate a king size bed (or larger) a seating area and a bench at the foot of the bed. PLUS, it has two walk-in closets!! After it was staged, the room definitely took on a luxurious retreat feel! This is by far one of my favorite bedroom setups to date. If the room setup wasn't enough, the master bathroom leaves little to be desired. The cherry on top? How about this gorgeous bathtub? I would not mind taking a bubble bath in this tub after a long day of furniture moving. Are you interested in taking a look at this property? Get in touch with Lori Doyle a request a showing.